Monday-Friday peaks extended from Hayes to Hayes North. 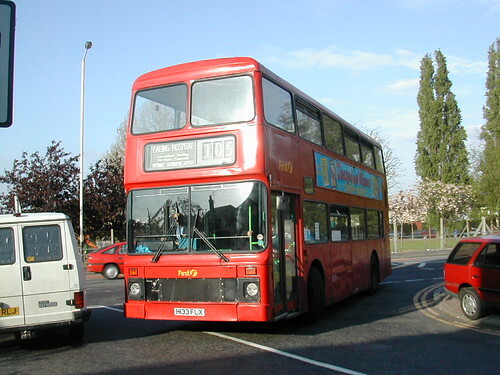 Extended from Hayes North to Charville Lane Estate. Monday-Friday peak journeys bifurcated from Brent Road to Arrow Switches Factory. 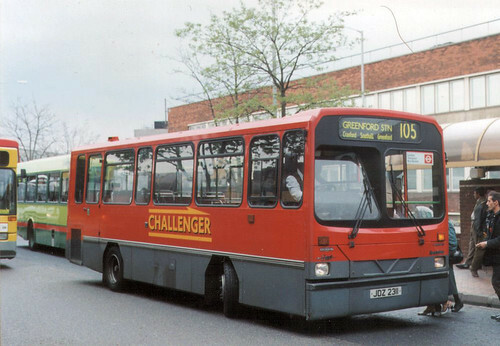 Mon-Sat withdrawn between Southall and Charville Lane Estate - replaced by re-introduced 195. 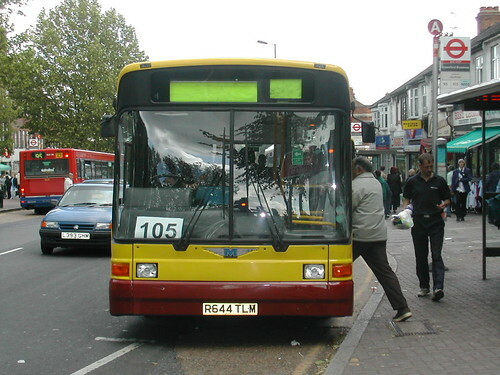 Sunday withdrawn between Southall Town Hall and Hayes Station - replaced by re-introduced 195. Diverted at Western Road Southall via Cranford to Heathrow Central. Bifurcation introduced to Havelock Estate. RT type replaced by RM. S replaced by increased HW allocation. 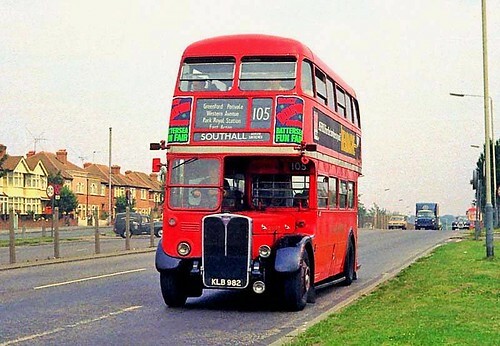 Heathrow & Greenford / Southall & Shepherds Bush. 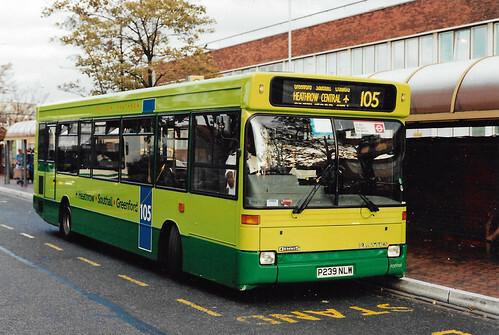 Shepherds Bush terminal changed from Wells Road to Caxton Road. 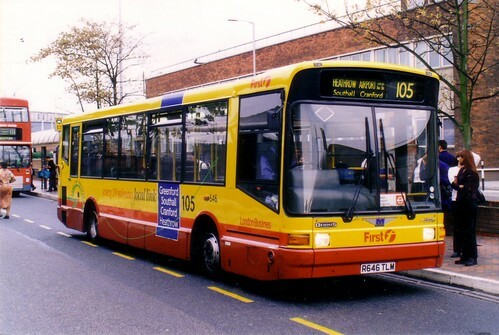 RM type replaced by M crew buses. Diverted in Dormers Wells Lane area. Extended at Heathrow to Terminal 4. Southall Garage closed - allocation transferred to Hanwell HL. Havelock Estate bifurcation withdrawn - replaced by new E5. 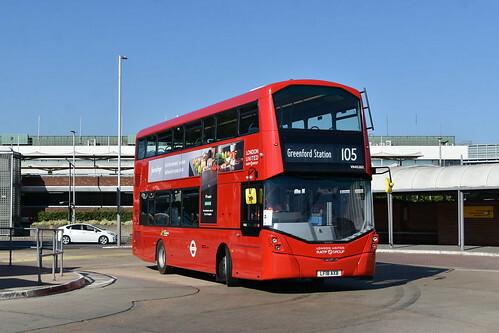 Withdrawn between Heathrow Central and Terminal 4. Monday-Saturday ON introduced on Shepherds Bush section. Monday-Saturday HL section Heathrow to Greenford. 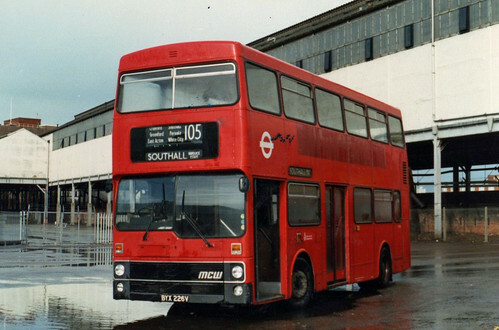 Mon-Sat Shepherds Bush to Southall section renumbered 95. HL allocation transferred to ON. 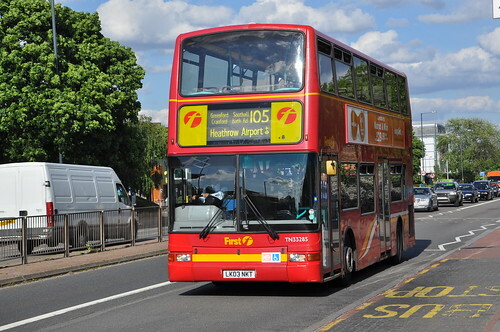 LN33 about to turn right onto Ruislip Road - but the destination reads EALING HOSPITAL ? 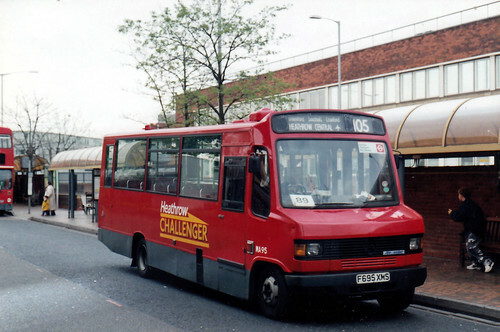 Converted to minibus operation although 3 Metrobus were used late evening which were later used on Route N89. 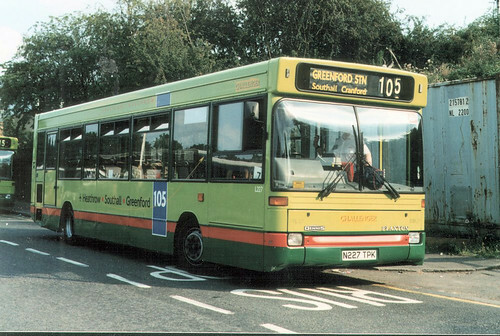 Sunday re-routed at Greenford to Greenford Station - withdrawn section to Shepherds Bush covered by Sunday service on Route 95. Operation re-assigned to Centrewest (ON). 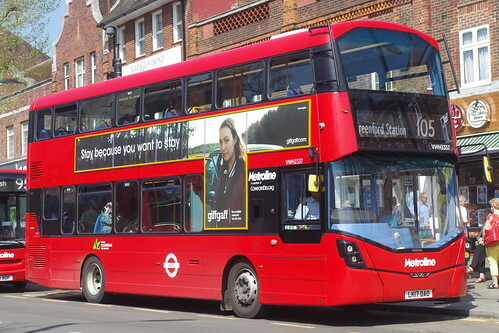 DML644 at Shepherds Bush CL Station. Service now 24hr as "N" prefix dropped. 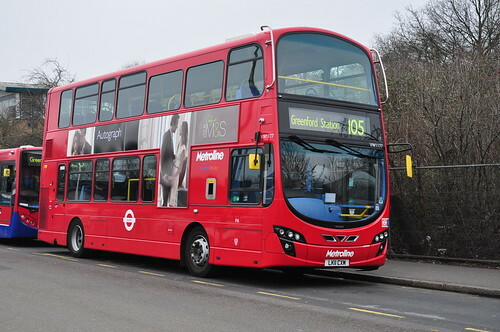 Route now goes direct from Heathrow North to Central - Compass Centre diversion withdrawn.